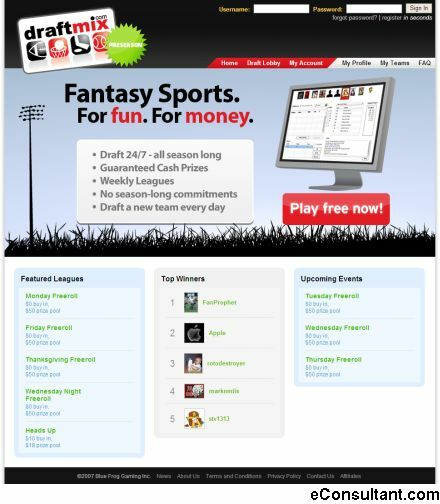 Description : Draftmix is a new way to play fantasy sports. They focus on allowing you to easily enter a fantasy draft any time you choose, 24/7, throughout a sport’s entire season. Draftmix also have shorter season lengths so you can play a lot or a little depending on your schedule.